I am just driving home from work, like 100 other times. I have the green light at the intersection ahead. Just as I enter the intersection, I catch a flash from the corner of my eye. A van is crossing from left to right in front of me. I remember shouting in my head at the other driver. “You are running a red light.” Now the side of the van is in front of me. The driver’s profile tells me she doesn’t see me. I scream. That van is in front of me and I know the inevitable is about to happen. For some instinctive reason, I swerve right. I did it before I could think about it. That move alone kept me from colliding head on into the person who ran the light. And now, two weeks later, I am wondering how I can deal with the fallout. No witnesses. The police refused to write a report at the scene. The other driver lied and said I ran the red light. My car is totalled. In an instant, through no fault of my own, I lost my car. Her insurance won’t replace it. That seems important and frustrating until I remember that I almost lost my life. Somehow the car becomes insignificant. 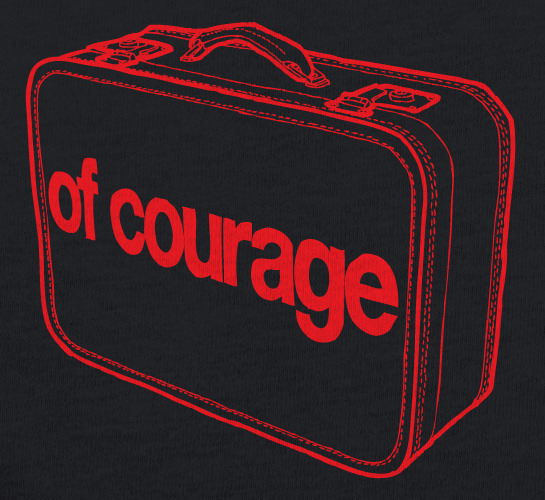 I’m wondering if I packed my suitcase of courage. Far away, I hear the song that says, “Have a Little Faith in Me” as only Joe Cocker can sing it. And I hear my mother’s voice, speaking with the surety only a mother can have. “It will come back to haunt her. You don’t get away with that kind of stuff.” Then, somehow, I know I am going to make it through. I am going to be alright. This is so sad but I am grateful you are still with us. Thank goodness your instincts to avoid a head on were right on!